One of the more unusual – and uplifting – stories coming out of Palestine is that of its only brewery. 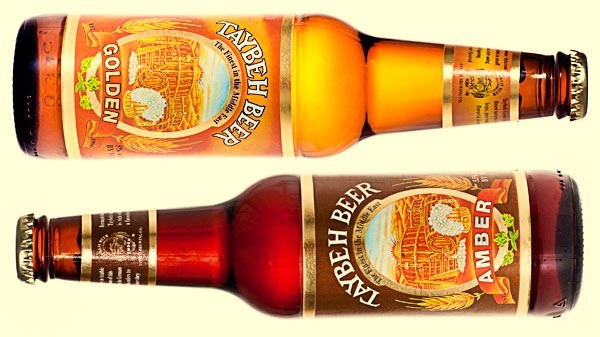 Run by Nadim Khoury and his daughter (and apprentice master brewer) Madees, the Taybeh Brewing Company holds its own Oktoberfest each autumn, modelled on the more famous Bavarian one. Here’s my little piece on the festival, and the historic town of Taybeh, in the current edition of TIME.com, with the bottles brought to their New York office specially for the photoshoot. Oh, and I can personally vouch for the quality – and taste – of the beer!